Opera has just rolled out its new Opera 11.50 beta version, of its browser codenamed Swordfish, which is now equipped with password syncing and a new speed dial feature. Opera’s new Speed Dial feature, enables you to quickly access your favorite sites when you open a new tab and now has the added benefit of extensions allowing you to customise your favourites with more than just static links. If you have a little skill in HTML and XML you can create your very own extensions. 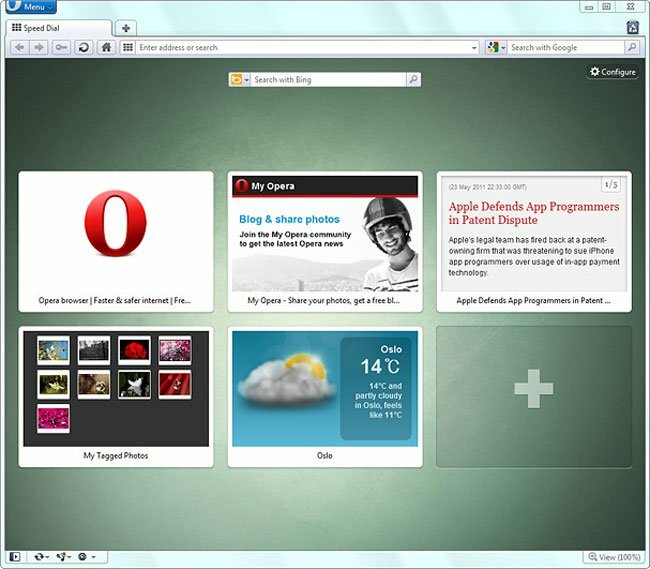 Opera has even provided helpful instructions for developing Speed Dial extensions here, and there is also a wide library of extensions already available from Opera’s extensions catalogue. Opera Link synchronises bookmarks and other browser information across multiple computers, and its security has been enhanced in version 11.50 beta to ensure that your passwords are kept safe.